It's hard to imagine how a place this beautiful has been kept off the tourism radar. But, it is also probably what keeps this place pristine. Welcome to Sipalay City, one of Negros Occidental's best kept tourism destinations. 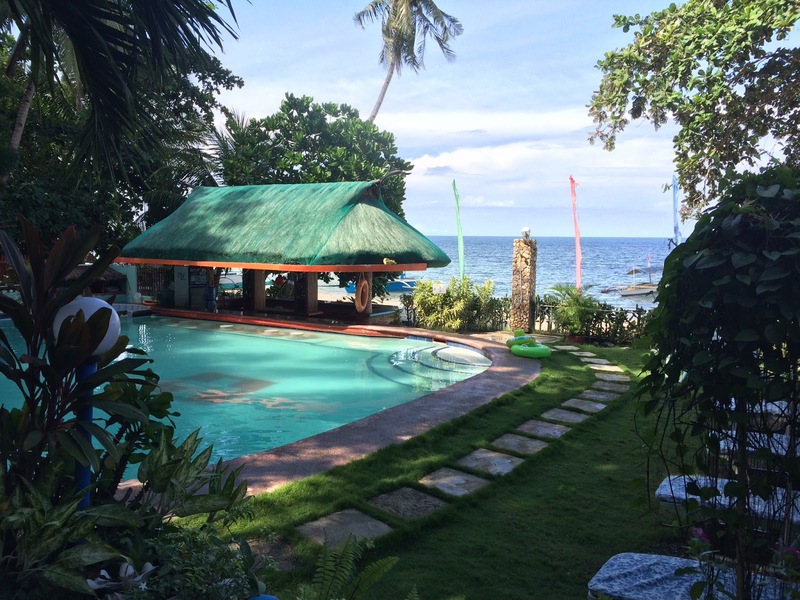 It is perhaps one of the most overlooked vacation spots here in the country. But, chances of this becoming one of those spots where the number of visitors keeps going up are very likely. It is hard to keep something this beautiful unnoticed. 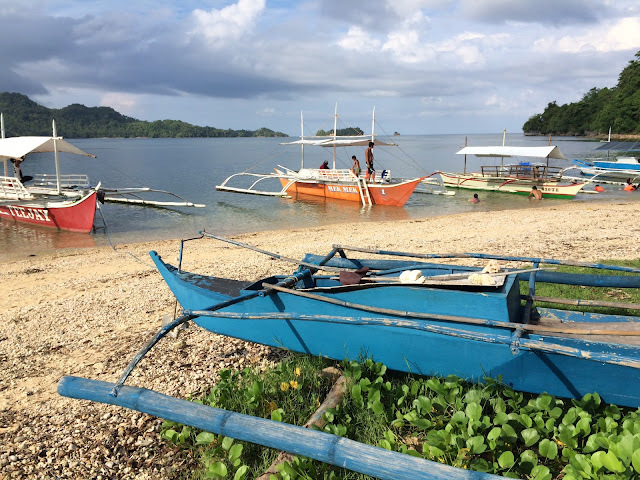 Sipalay City is almost five hours drive south of Bacolod City by public utility vehicle and probably over three hours by private car. Roads are asphalted. There are Ceres buses plying the route. Private vans are also available. Another airport option is Dumaguete City, which is Negros Occidental. There are no taxicabs in Sipalay City and tricycles are the best option for transport within Sipalay City. These three-wheelers though can take you to Sipalay's hidden gems. Here are the spots we explored during our recent Sipalay City weekend getaway. 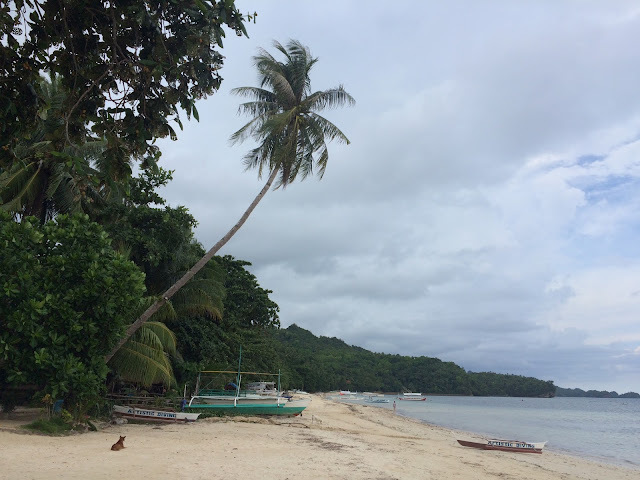 The first place we explored is Tinagong Dagat, which translates to hidden sea. This place is mesmerizingly beautiful. 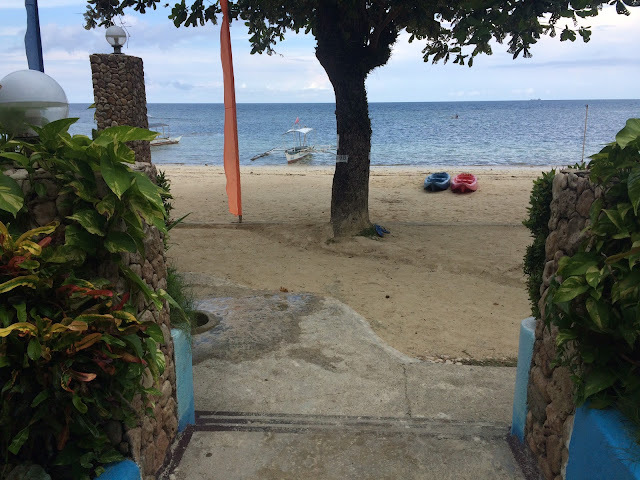 Guests pay a minimal entrance fee that allows access to two islets, which house several cottages, a swimming pool, a restaurant and a view deck. Guests cross wooden footbridges to get there, which also gives a good view of the old growth mangroves at the shorelines and patches of sea grass beds. Be sure to climb the view deck. It may be exhausting, especially with the uneven steps, but it would surely be worth it. The view from the deck is amazing. That is almost 360 degrees of beauty. 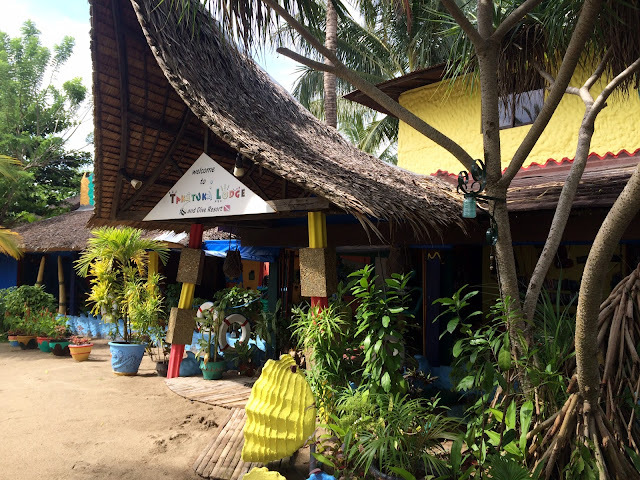 After exploring Tinagong Dagat, we decided to head next to our resort located at Punta Ballo Beach, for our much-needed rest and relaxation. We stayed at Artistic Diving, which owners claim to be the very first resort at the beach. This beach is blessed with fine cream-colored sand that's also good for frolicking and taking pictures. Tip: Pack some insect repellants. It is very expensive at the resort. 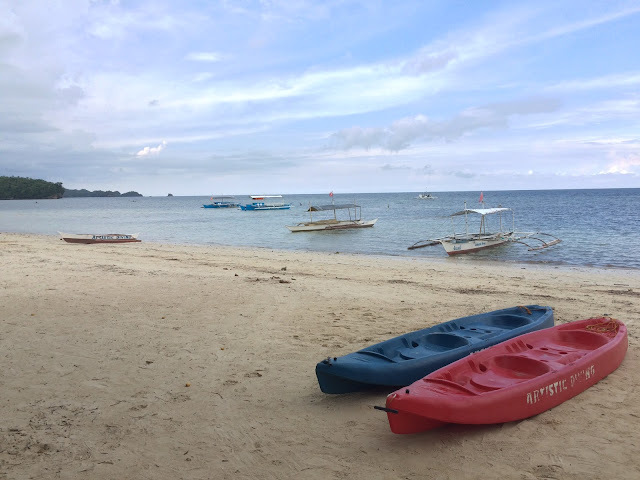 On our second day, we rented a early boat morning for an exploration of Campomanes Bay. 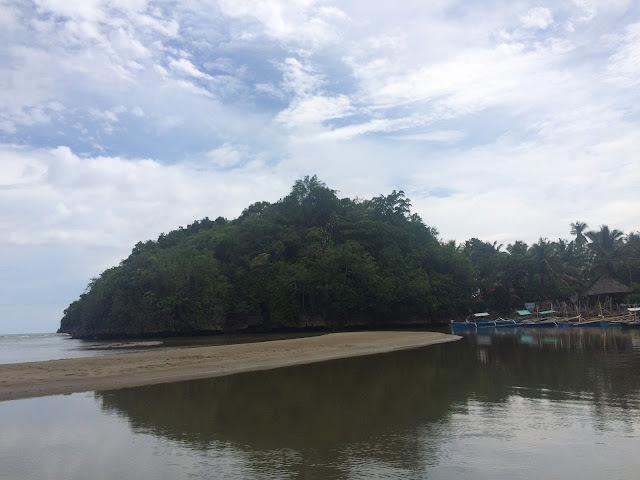 We paid P 1,000.00 for a tour of Maasin Cave, Campomanes Bay Beach and one of Sipalay City's marine sanctuaries. I had a refreshing morning dip at the sanctuary, which required a fee P 50.00 per head. For another picture-perfect moment, drop by Perth Resort. We rented a tricycle to take us from Artistic Diving to Perth Resort, to the jump-off to Sugar Beach, then to the bus station for P 500.00. The best view at Perth is at its view deck, which is up more than a hundred steps. 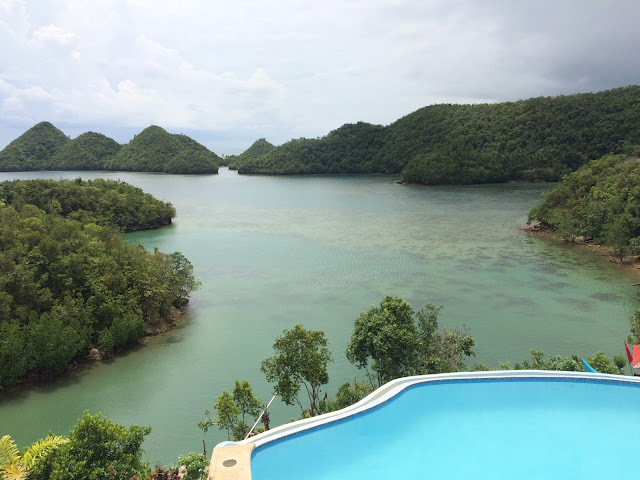 The pool is actually one of the most photographed spots in the whole Sipalay City. I did wish to have my picture while swimming there, but we only had time for one beer, because we still had one last stop on our itinerary. Tip: order first at the restaurant at the ground floor before going up. There are no drinks or snacks available at the poolside. We were just lucky one of the resort's attendant agreed to get us beer from downstairs. 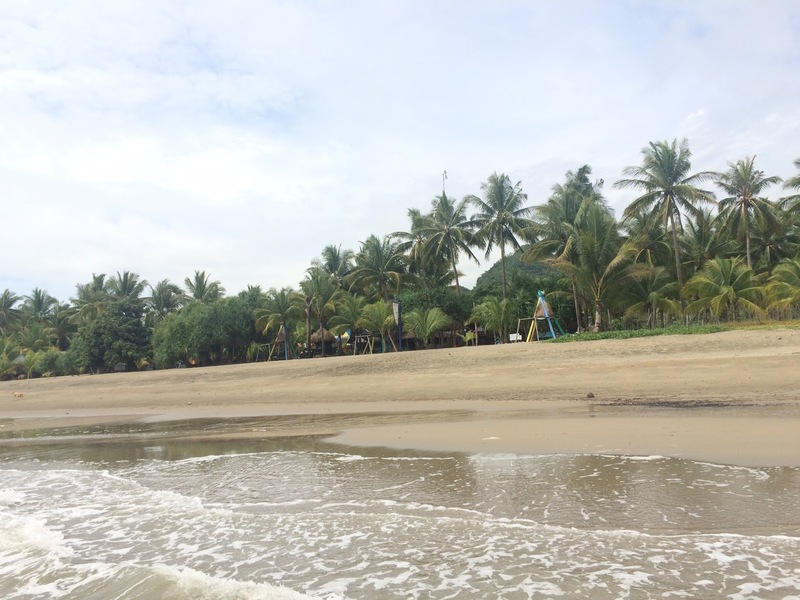 Formerly called Langub Beach, Sugar Beach is another long stretch of sugary, light brown sand. The beach is about 20-minute boat ride from town proper. There are lots of overnight options here, but Takatuka Beach is the most extraordinary of them all. 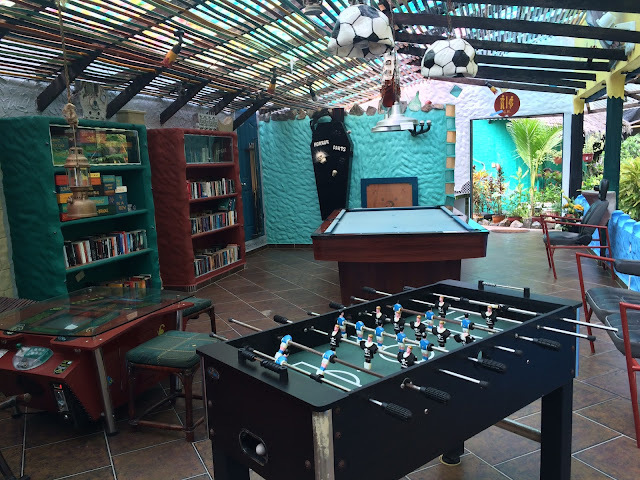 Each of the resort's room and cottages is individually designed and themed. The restaurant is also interesting, and it offers delights, not just for the tummy, but also the eyes. This is exactly how I want my beach resort to be. 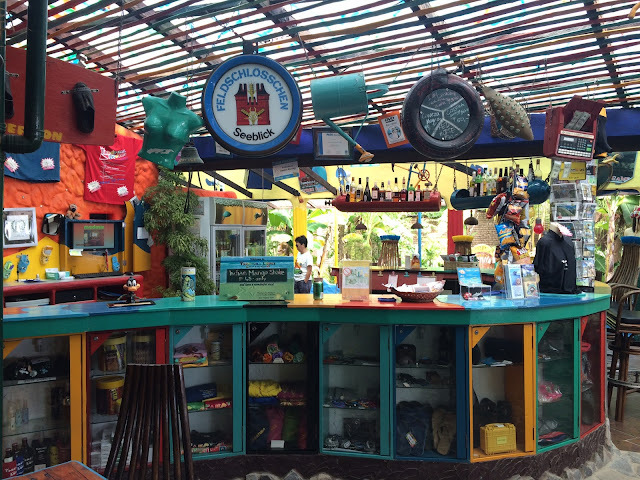 It's hard to find a favorite spot here because each nook is bursting with creativity. Ooohlala! Am so glad we decided to have our late lunch here. Even our table set-up was interesting. And the food was superb. 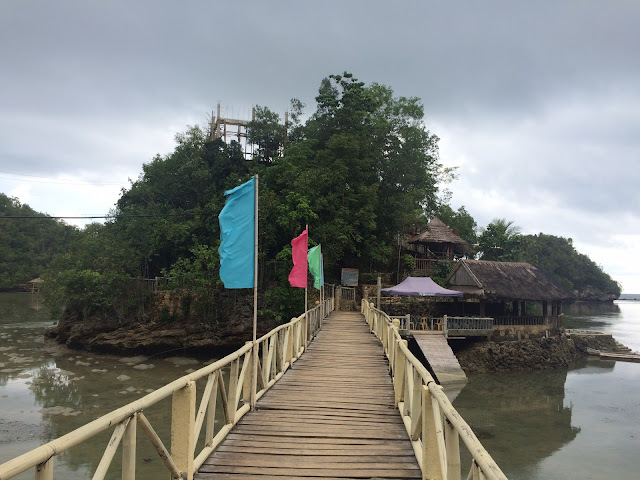 That was our one weekend Sipalay City adventure. I wish to come back to see more of Sipalay City, to stay at Takatuka Beach and of course, to eat and drink more. 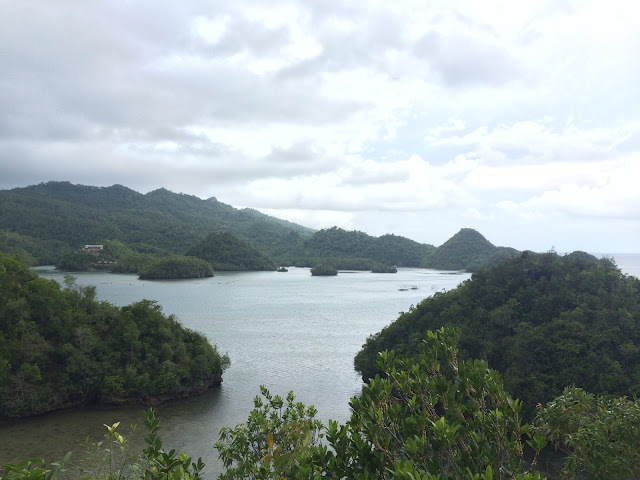 Let's just hope Sipalay City retains its natural beauty and calmness.